And, there’s variety, as you can see above. 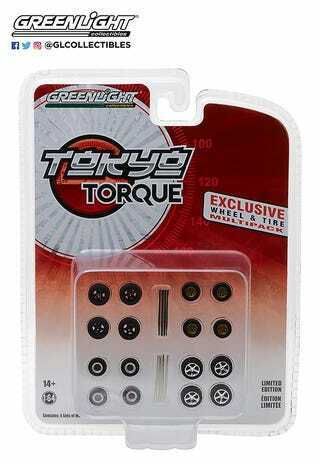 For the tuner fans, the Tokyo Torque set. For muscle car fans, the GL Muscle set. For off road fans, the All-Terrain set. Each set has four unique wheel and tire combinations, and axles are also included. If you want them, 3000toys.com has all three available for $4.59 each, a discount from the $4.99 MSRP, plus $7.95 flat rate shipping in the continental US, which is good for those who have a hard time finding anything GL.